I’ve spent a lot of time this summer sitting outside working on my laptop directly below our hummingbird feeder. At least two families have been regularly zipping in and out to supplement their usual diet of insects and nectar gleaned from flowers. Hummingbirds can get along just fine without sugar water, but it’s clear they like it: whenever the feeder runs dry, they let us know by buzzing so close to our faces we can feel the wind created by their ridiculously fast-beating wings. 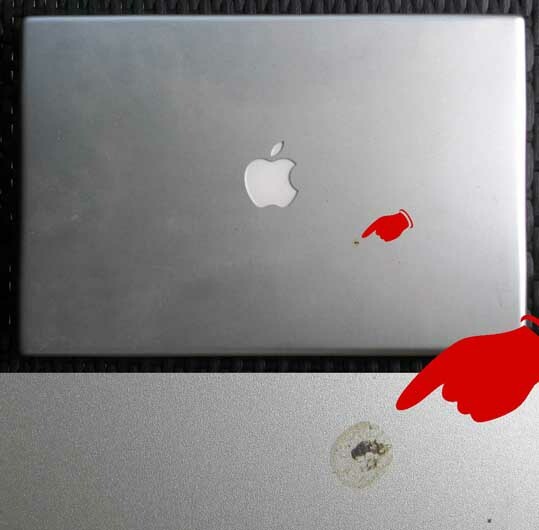 This tiny spot on my laptop is a hummingbird dropping. Several weeks ago, though, there were suddenly fewer feeder visits. It was obvious that some of our hummingbirds had disappeared. I might have thought something tragic had happened if I hadn’t just spent a year researching and writing a picture book about migration – Is This Panama? – so I knew that my “missing” hummingbirds were likely adult males who had simply flown the coop. In Ontario, these males normally begin their “fall” migration as early as the last week of July, which allows for a leisurely journey to Central America, where they spend the winter. Adult females wait a while longer before taking off, followed much later by the juveniles. Juvenile hummingbirds, like this male ruby-throated, migrate south later than adults. 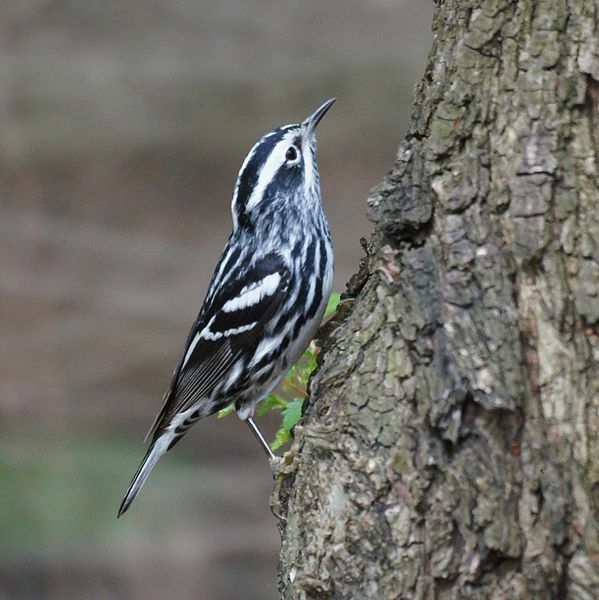 Many of our other smaller summer birds, such as warblers, also travel south over an extended period of time, so their fall migration can seem much less dramatic, and less obvious, than the spring migration when everyone’s racing north to stake claim on the best breeding and feeding grounds. In late summer and early fall, grasslands and wildflower meadows attract both seed- and insect-eaters. Though mature forests are a great place to look, heavy leaf cover can make autumn bird-spotting more difficult, so seek out clearings and forest edges where warm morning sun can activate insects. Waterside areas can be fruitful too. 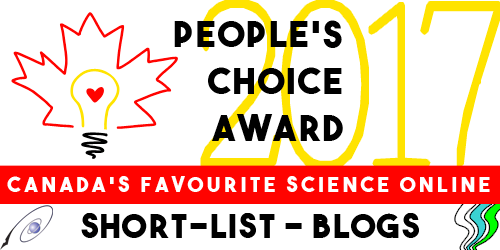 And don’t forget your neighbourhood park or your own backyard! 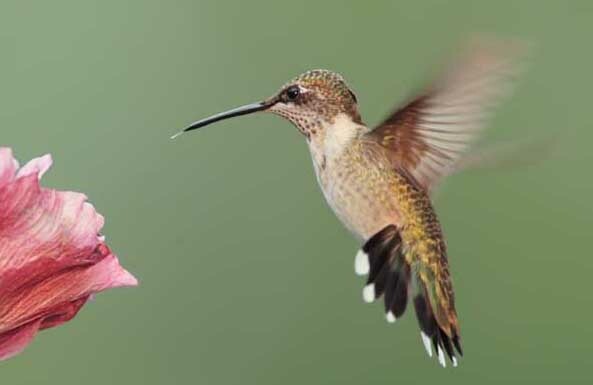 Though hummingbirds migrate during the day, many other species migrate at night. These nocturnal migrants have evolved to navigate using the stars during the hours when strong winds have died down and cooler temperatures reduce the risk of overheating. On a clear night, with a slight north wind, these birds might fly for ten hours straight, so there can be good viewing opportunities the following day as the birds stop to rest and feed. If you’re a night owl, aim binoculars or a viewing scope at a full moon and see if you can catch a group of migrants silhouetted as they fly past! More than 30 species of warbler nest in Canada and, though their colours are muted in the fall, these tiny birds are still incomparable in their beauty. The problem with fall warblers is that they don’t advertise their whereabouts with song the way they do in spring. They do, however, produce delicate chipping notes that help to pinpoint their location. Another way to find them is to listen for vocal chickadees, since chickadees regularly join up with migrating warblers into loose foraging flocks. Put seed in your birdfeeders and replenish hummingbird feeders. Even after your local summer birds have left, migrants from further north may pass through and stop for a snack. Grow native plants in your garden and don’t deadhead flowers. Sunflowers hanging with ripe seed are amazing natural birdfeeders. Ground foragers, such as sparrows and doves, are attracted to brush piles and leaf litter, so wait until late fall to clean up your garden. 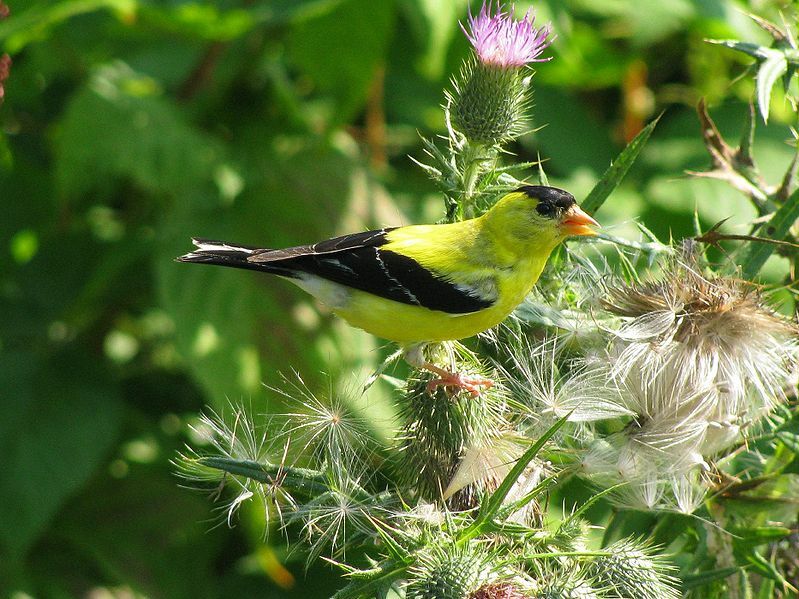 Pesticides, herbicides, and fungicides can be lethal for birds, so avoid their use. Keep your cats indoors or watch over them while outdoors. Though cats make wonderful pets, they kill more than a billion wild birds every year in North America. CONTEST CONTEST CONTEST!!! And a couple of new books. Free books are on offer at Sci/Why - and free Skype visits by author L. E. Carmichael, if you're a teacher or librarian. Just go to Talk About FOX TALK Contest and leave a comment. 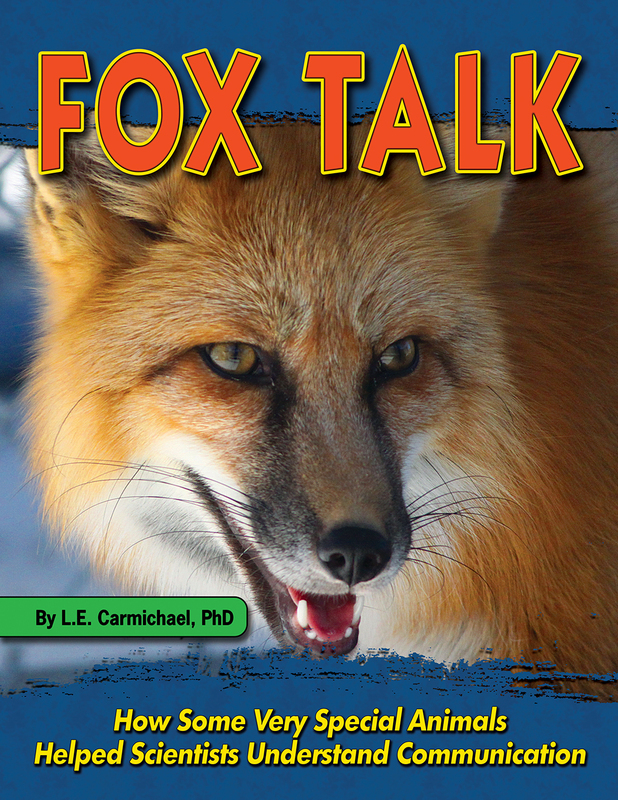 Every comment between now and August 20th (12:01 AM, Atlantic Time) will be entered to win an autographed copy of L. E. Carmichael's brand new book, FOX TALK. Everybody who spreads the word gets an extra entry, so share on Facebook, Twitter, or anywhere else. Hurry hurry hurry! This deal is too good to miss. 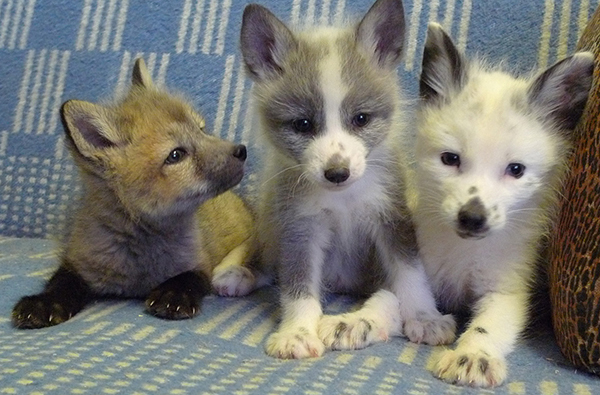 Also, there are Foxes of Great Cuteness. In more new-book news, two Sci/Why bloggers launched their own brand new books at When Words Collide in Calgary last weekend. It was an awesome, multi-genre festival of reading and writing -- consider signing up for next year. In the meantime, you can check out our freshly-launched books. 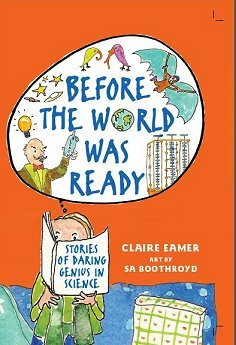 Claire Eamer launched her new book for Annick Press, BEFORE THE WORLD WAS READY: STORIES OF DARING GENIUS IN SCIENCE. Read about what happened when people weren’t ready to listen to innovators who came up with revolutionary ideas. And about the folks with the amazing ideas. 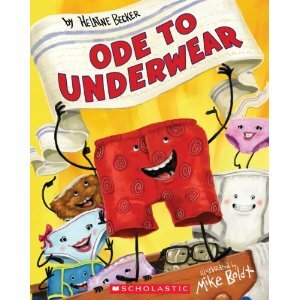 And Helaine Becker launched her beloved comic poem ODE TO UNDERWEAR, out in a new, picture-book format from Scholastic. As Helaine says, "From boxers to bloomers and briefs to bikinis, whether they're frilly, silly, or saggy, you'll find them all in this silly romp through your top drawers. That's a pun, BTW. Did you get it?" And if you missed this book launch, watch out for more opportunities to celebrate the arrival of new books by the Sci/Why crew. We'll let you know. But it will be hard to top Calgary. There were cupcakes. REALLY GOOD CUPCAKES! Honestly, you shoulda been there, folks. Have you ever noticed that domestic animals share physical characteristics with each other, but not with their wild ancestors? Floppy ears, for instance. Elephants are the only wild species with floppy ears, but they occur in breeds of dog, horse, pig, and even rabbit. Darwin was the first scientist to study this, but he couldn't explain it. Almost 100 years later, Russian geneticist Dmitri Belyaev took up the challenge. Belyaev believed that the most important trait domestic animals shared was their behaviour - their tolerance of, and affection for, humans. He believed that selecting animals for tame behaviour changed something so fundamental in the species' DNA, a cascade of physical changes would also result. Warning: this much cuteness may cause your heart to burst! The white markings on the face of the center fox is another trait common to domestic animals. Belyaev's team identified the gene that produces these marks, as well as genes that are linked to tame behaviour - to domestication itself. And these days, the foxes are so domesticated, people keep them as pets! I learned about this experiment my first year of graduate school. After I finished shrieking "OMG I want one!" I couldn't wait to learn more about domestic foxes, and I am beyond thrilled that I've been given a chance to write about them. Aimed at kids ages 8-10, FOX TALK releases August 20th. It's about communication between humans and animals, and how domestic foxes helped crack the code. To celebrate the launch - and the launch of my shiny new website - I'm having a Talk About FOX TALK contest! Every comment between now and August 20th (12:01 AM, Atlantic Time) will be entered to win an autographed copy of the book. Everybody who spreads the word gets an extra entry, so share on Facebook, Twitter, or anywhere else you like - just leave me a comment with a link. For teachers, librarians, and anyone else who works with kids, I'm offering a bonus prize - an hour-long author visit via Skype. You can choose from my workshops and school programs, or request a topic your group will love. Popular recording artist, Ke$ha announced this week that she was born with a tail. While her claim might sound absurd, there are documented cases of children who have been born with this rare condition. But did the singer really have a tail like your pet dog or cat? Let's start with something simple: all humans have tailbones. If you've ever slipped or fallen on an icy surface and landed hard on your bum, you might have even bruised your tailbone. Scientifically speaking your coccyx aka tailbone is the last segment of your vertebrae, or the part of your back that keeps you upright. The name coccyx comes from the Greek word for "cuckoo" , not because you are nuts if you have a tail, but rather the bone structure looks like a bird's beak. All humans start out life with a tail. When the human embryo is about a month old it has a small tail with 10-12 vertebrae attached to it, but by about 2 months the tail has disappeared. In the unlikely event this does not happen, a child might be born with a tail. It should be noted that this is so rare that there have only been about 40 cases reported in the medical journals. As humans evolved, we kept a number of body parts that seem to have no useful purpose. Our appendix, wisdom teeth, the inside corner of our eyes, and yes, the tailbone are all considered human vestigiality meaning they have lost their original function. While your tailbone might not be attached to an actual tail, it is part of your muscles, tendons and ligaments, which keep you supported. When you lean backward and move your weight onto your tush,. you are using your coccyx for balance. And without a coccyx, you might have to wear diapers as the muscles that control those functions would not be attached to anything. If you are reading this blog in a public place, you might want to try this when you are alone. To find your coccyx put your finger down the back of your pants and find the spot where your buttock cheeks split. You should be able to feel a small bump and indentation. That's your tailbone. As for Ke$ha's claim that she was born with this atavism, given that there are so few cases of this condition she might "coccyx" ( see above Greek word).